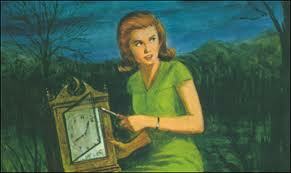 Maybe my dream is finally coming true, and I’m turning into Nancy Drew! I’m here on Deep-Fried Friday once again, talking about story. One of the drawbacks of reading a lot of mysteries is that you start being able to guess the killer. With surprising accuracy at times. I was recently watching a season one episode of Bones (catching up with Netflix) and halfway through I said to myself, “That guy did it.” The next twenty minutes were filled with FBI Special Agent Booth and Forensic Anthropologist Brennen searching down other leads until they finally came around to my way of thinking and arrested the right guy. It was the third episode in a row where I had guessed the killer before the main characters figured it out. I’d fault the writers of Bones, except that it happens with books and other shows too. I no longer fall for the red herrings like I used to. I can pull out relevant facts and ignore the irrelevant ones. I make relationship connections early on the story that inform me on motive and opportunity. I notice details. Presumably, one of the worst things an author can do is write a predictable story. Twists and turns are considered a good thing. Rabbit trails are good fodder for the tale. Unexpected discoveries and surprise endings should keep us turning the pages. However, the author simply cannot account for the reader’s part in all of this. 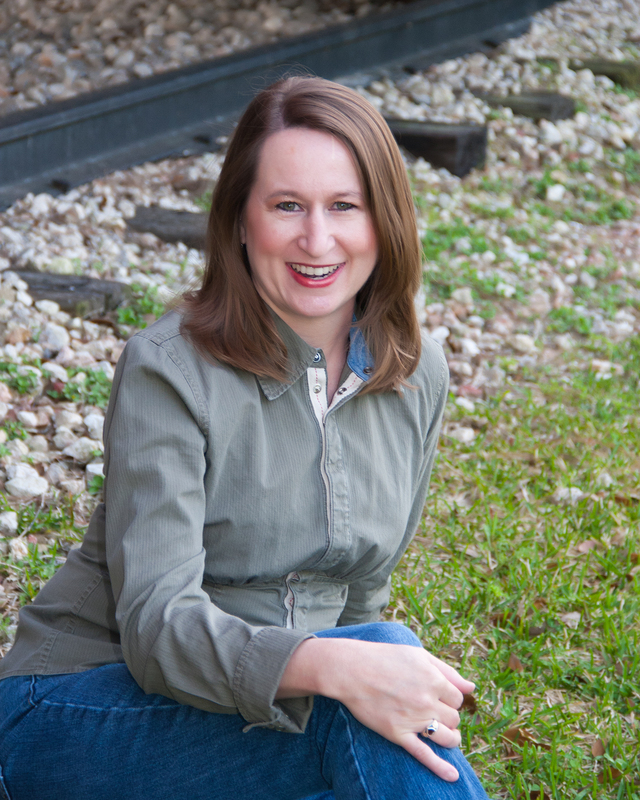 What if your reader has consumed 200 romance novels and is now reading yours? Do you think she’ll foretell how the two will get together? No matter how well you’ve written your story, she might. And if there is no way she possibly could predict, you might be hiding information from your reader that would help them connect to the story better. I don’t like being completely in the dark, like the author is being all cagey about releasing information just in case I might get ahead of him. Just tell me already. If I figure it out, I figure it out. Suspecting how it will turn out, however, doesn’t stop me from reading. 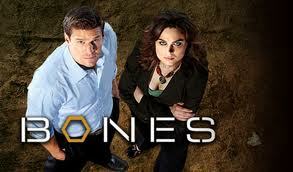 I watched the rest of the Bones episode not because I had no idea who the killer was. I knew whodunnit. I wanted to watch the characters interact and put the puzzle together. I enjoyed seeing them solve the mystery. The Rebels would defeat the Empire and the good side of the Force would prevail? Frodo would get the ring all the way to Mordor? Sleeping Beauty would awaken with a kiss from her prince? Hercule Poirot would use his little grey cells to uncover the culprit? Batman would thwart the evil plans of Catwoman, the Joker, the Riddler, Mr. Freeze, or whichever villain-of-the-week was around? Bella and Edward would find a way to be together forever? Of course not. So is a predictable ending always a bad thing? No. In fact, while I remember sitting in the theater watching The Empire Strikes Back and being wowed by Darth Vader’s revelation, my kids already knew about all of that. I knew the overall ending, but they knew the whole story and still wanted to watch every minute of the Star Wars trilogy. It’s okay for a reader or viewer here and there to know whodunnit. But in that case, you have to give them another reason to read or watch. Why do I continue? Because I care about the characters. This is why superhero movies continue to be made and remade and we continue to watch them. Why the boy meets girl, boy loses girl, boy gets girl back plot never gets old. Why we read or watch police procedural dramas, knowing that they will solve the case. We want to know how these particular characters resolve the conflict. Perhaps we’re less interested in whodunnit than howdunnit. I have to admit that seeing Psycho without knowing the ending will make you gasp (see Tiffany A. White and Catie Rhodes for reviews of that creepy film). The Murder of Roger Ackroyd is one of my favorite mysteries because Agatha Christie stunned me with the conclusion. And the last episode of Newhart was the most brilliant surprise ending for a TV series ever. However, not knowing what will happen isn’t necessary to keep me turning pages or tuned in. Give me relatable characters that I can follow as they uncover the twists and turns of their lives, even if they end up where I suspected they would. What about you? Do you enjoy surprise endings? Are you disappointed if you figure out the conclusion? Do you care more about whodunnit or howdunnit? And I totally agree: I hate an unsatisfactory ending, surprise or no. I agree with you. 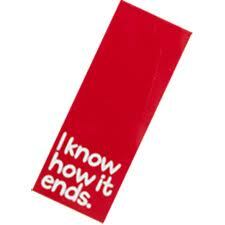 To some extent, we sort of know what the ending is going to entail. Pretty Woman, anybody? Come on. Who didn’t know Richard Gere would do the right thing? Even so, the audience had tissues in hand and that is considered what the “best” romantic comedies of all time. I do enjoy surprise endings. The first time I watched Psycho–more years ago than I care to admit–I was surprised by the ending. I was also surprised by the ending in Orphan. And a little bit surprised by the ending of Drag me to Hell. And remember Primal Fear? The first time I watched that, my jaw dropped. I think I am easier to surprise than most. I rarely guess whodunit. I get so engrossed in the characters that I forget to analyze the actual mystery. 😉 Or maybe I am just not too bright. No. that’s not it. It’s that I’m engrossed in the characters. I never saw Primal Fear, Catie. I have no clue about the story or ending. Maybe I should watch! Did you see a movie (from the 80’s, I think) called Shattered? That one surprised me too. I think I actively try to figure things out as the story goes along. Maybe I should stop that and just get engrossed in the characters! I like surprise endings also and like Catie am probably more engrossed in the characters than to try to figure out whodunit. Dennis Lehane’s GONE BABY GONE doesn’t so much have a surprise ending but one that you wish didn’t happen. In another one of his books, SHUTTER ISLAND, my daughter and I disagree on the reality of the ending regarding the main character. If you’ve read the book you’ll probably know what I mean. To sum it up – I go with the flow and usually enjoy it either way. I can’t seem to stop my brain from trying to figure things out. Maybe I need to relax. (I think my hubby just said “Amen.” LOL.) I haven’t read Dennis Lehane. Perhaps I should. Thanks, Donna! I like surprise endings as long as I don’t feel like they came out of the blue. When that happens, I feel cheated. Maybe I’m weird as a reader, but I don’t usually try to figure the ending out. Sometimes it’s obvious though, and in those cases, it’s like you said – more a matter of HOW than IF, because we already know the sleuth will find the killer and the girl will get her guy. I thought the ending of House, MD was well done. The things that happened were surprising, but in character (or still made sense when they weren’t), and while it wasn’t totally happy, it was satisfying. Out of the blue endings annoy me too. That’s why I think it’s okay to drop clues, so readers/viewers don’t feel cheated when something weird happens at the end. Thanks, Jennette! I always wanted Claw to win just once in the cartoon Inspector Gadget. Just once! Argh! Anyway, I’ve been able to figure out what is gonna happen or whodunnit every once in a while. Even with that in mind, I still keep reading or watching. Part of that is because I want to see if I’m right and to be entertained. I admit to wanting Catwoman to win in the Batman series a time or two just because she rocked the outfit. Love your input, Julia. I’m a howdunnit girl all the way. Even before I could figure out the plot early, I’ve always been a howdunnit girl. I want to get emotionally drawn in. A great romance to me leaves me gasping and crying. They resonate with me not be cause of who, but b/c of how they fall in love. Absolutely! It’s about HOW they fall in love. *swoon* Thanks, S.J. I like to be surprised but I will keep reading if the story and characters are enough to grab my attention. Attention-grabbing characters! Isn’t that what I hope I write? Thanks, Alica. I should host a beat-sheet/movie party. What should we watch? Psycho? Grease? Dr. Strangelove, or How I Learned to Stopped Worrying and Love the Bomb? LOL. Thanks, Raelyn. Great post and thank you so much for the link love! I love a good surprise ending. I watch so many mysteries just to try and figure out the whodunnit before the big reveal. Any movie that surprises me at the end is a big WINNER in my book. I can usually figure it out. As a writer, I’m more concerned with the howdunnit because if we don’t make our antagonist’s goals and actions clear to the reader, we’re not doing our job. I love a surprise ending, as far as I can look back on the story and see the clues I hadn’t put together. Sopranos is an example of a great ending (to me) when I made the connection to the lead character’s belief that death is where everything just goes black. Even better was how the writers cut the story short. People talked about that ending for days!